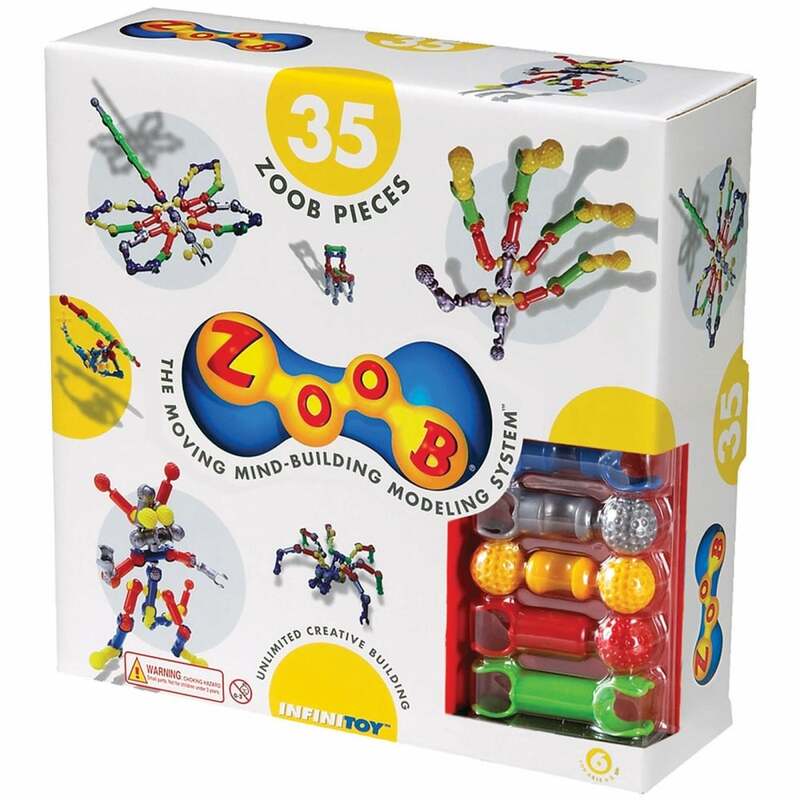 For kids who love to build and create, this ZOOB 35 Piece building set is perfect for hours of interactive play with easy to follow instructions to learn how the connections work and make 20 creations including a chicken, robot, helicpoter and scorpion! Then make your own creations. ZOOB building sets are unique in that the pieces move after they are put together, allowing for truly interactive creations. Collect ZOOB sets for more interactive pieces!